Heating Cables :: Heating Cables Manufacturers,Heating Cables Suppliers & Exporters :: Garg Associates Pvt Ltd. 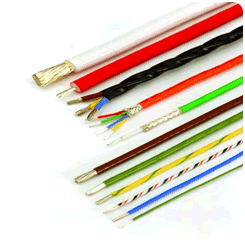 Surface heating wires: Multi-conductor bonded flat cables or woven flat cables for integrated surface heating. Outdoor use: 1, 2, 3 strands helically wrapped on Glass Fibre cord with PTFE insulation and Nickel Plated Copper/Stainless Steel braid shield for outdoor use. Floor heating elements: Insulated heating wire with parallel-laid temperature sensor wire of pure Copper or Silver Plated Copper having high temperature coefficient of resistance, under a common PTFE jacket (with zero moisture absorption) for floor heating. 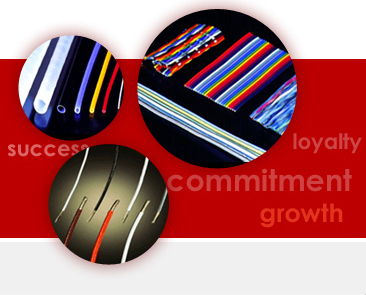 We can also custom design heating wires for your specific needs. Heating resistance wire capable of long-life stability at the required temperature. Concentric multi-layer tape-wrapped and heat-fused insulation for better protection. Temperature Sensor; protection system such as braid shields for ease of handling. 100% finished product testing with actual test certificate.